A secure laptop with an impressive display. Office-ready 15.6" laptop featuring a spacious display, advanced security and E-Family docking capability. 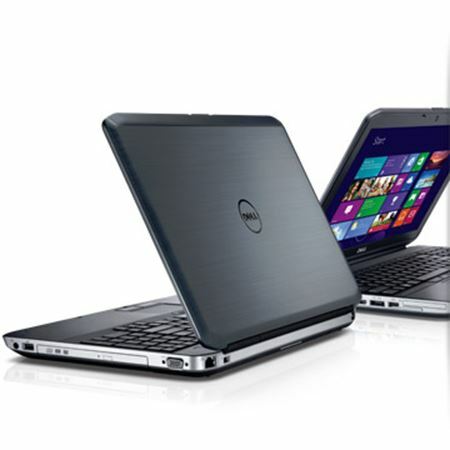 Multitask comfortably with the large, 39.6 cm (15.6) display of the budget-friendly Latitude E5530 laptop. Unleash your productivity with a range of performance options, including solid-state drives, cutting-edge Intel® Core™ processors and HD graphics. Work comfortably with easy docking, a numeric keypad and the help of design features intended to make your time in front of the screen as productive as possible, anywhere you work. With a high-performance antenna and the latest wireless and mobile broadband1 connectivity options, you don’t have to be inside an office to be at work. Help safeguard your data and meet compliance standards with a complete array of available protections, including Trusted Platform Module (TPM)2, Dell™ Data Protection | Access and Dell™ Data Protection│Encryption1. From deployment to ongoing maintenance and support, Latitude can help you simplify IT management with remote access, remote battery and BIOS management capability, and optional Intel® vPro™ technology3 for efficient out-of-band management. Help simplify IT maintenance while increasing security and productivity with available Intel® Core™ processors featuring Intel® Small Business Advantage. Travel with confidence knowing that the Latitude™ E5530 is protected. From its mag-alloy reinforced chassis to its aluminum LCD back cover, the E5530 is a capable business partner. Latitude can help your organization meet its environmental goals with an energy-efficient design that’s brominated flame retardant (BFR) and PVC free.